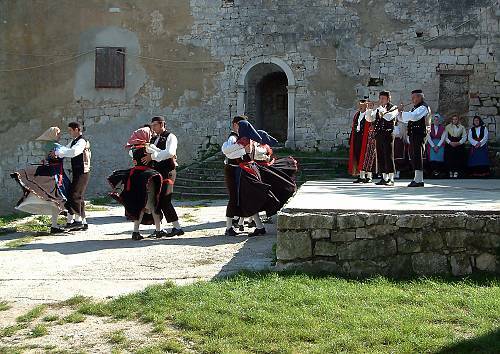 On the Istrian peninsula in western Croatia, several varieties of two-part singing and playing in the Istrian scale are preserved by Croatian, Istro-Romanian and Italian communities. 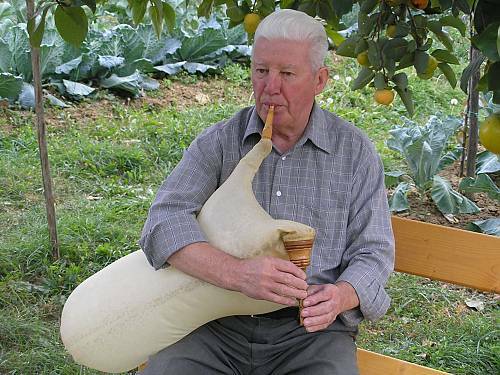 The style is characterized by vigorous, partly nasal singing. 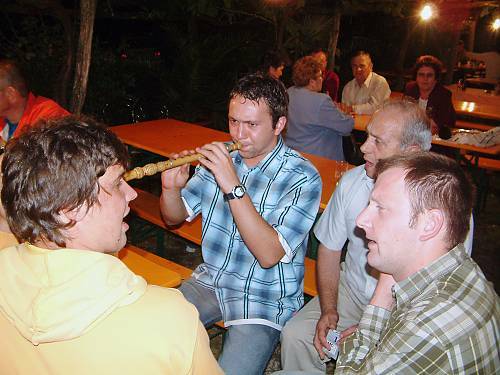 It involves a degree of variation and improvisation in both vocal parts but always ends with two performers singing in unison or an octave apart. 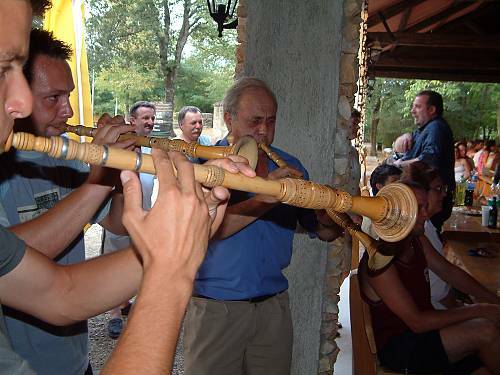 Typical musical instruments are the sopele shawms, always played in a pair, bagpipes, flutes and the tambura lute. 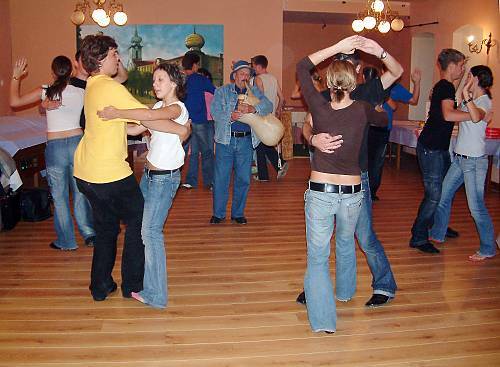 Several local sub-styles have developed their own characteristics. 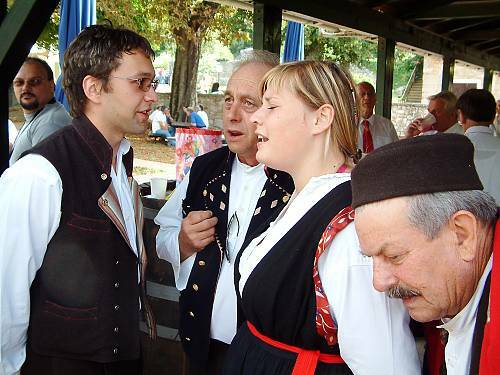 For example, in kanat, performed primarily by the Croatian population, the second voice is often exchanged for or doubled with a small sopele; in the widespread variant known as tarankanje, words are sometimes replaced with characteristic syllables (ta-na-na, ta-ra-ran, etc.) 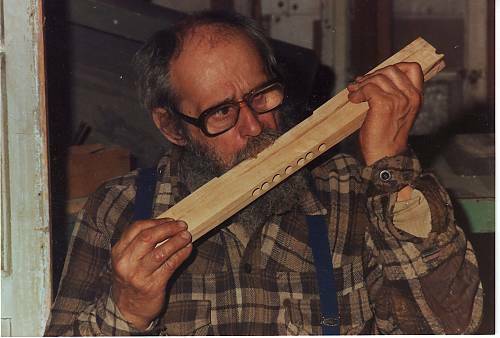 designed to imitate the sound of the flute. 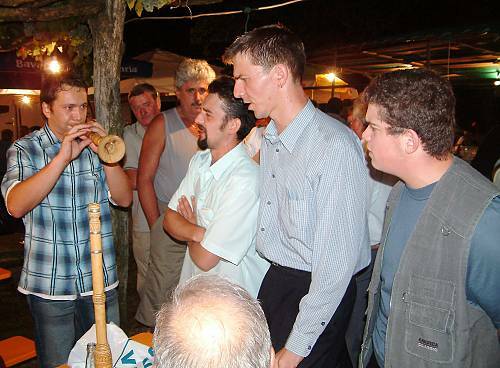 This tradition is still a part of everyday life and festive occasions, including wedding ceremonies, community and family gatherings and religious services. 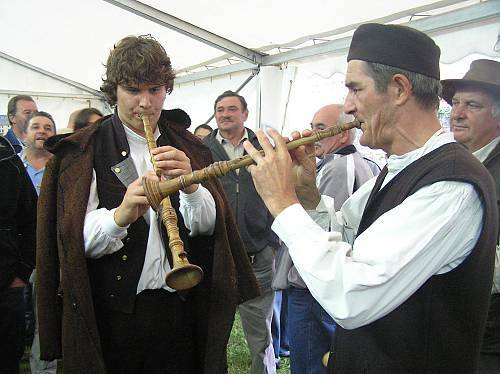 Its bearers, about a hundred outstanding singers and players and some ten craftspeople, have acquired their skills and knowledge from their elders. 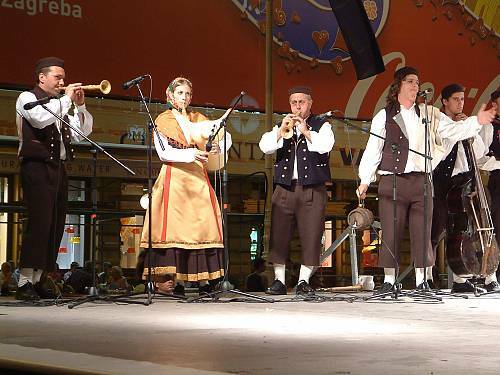 Nowadays they are often associated with organized amateur folklore groups, spread throughout the region.